Sounding the Call for Domestic Violence Awareness Month: Join Me On a Blog Tour to Win Prizes and Support a Cause! 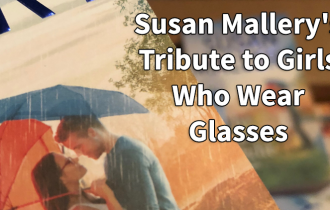 The first time I heard the name Sandra Ramos, I was in my office speaking with Marsha Zinberg my first editor at Harlequin. Now head of Feature and Custom Publishing, Marsha asked if I was interested in writing a novella for the upcoming More Than Words anthology – five short stories written by best-selling Harlequin authors based on the lives of women involved with charities (usually charities they’ve founded). These charities are the recipients of a significant donation through the More Than Words program. Was I interested? The opportunity was a huge honor. I accepted. Immediately. And then Marsha told me about Sandra and asked if I’d like to work with her. Again, my acceptance was immediate, as Marsha had known it would be. Sandra’s charity was one to which I could completely relate, her cause one I already supported. Sandra Ramos is the founder of the first battered women’s shelter in the United States. She started out, in the 1970s, housing battered women and their children in her living room. And as word spread – this idea that there was actually a safe place for women who were being abused by their spouses – so did the number of Sandra’s house guests, until the city knocked on her door and threatened to put her in jail if she didn’t downsize her “family.” It was against the law for her to have so many people under one residential roof. Looking at the battered women and children in her home, Sandra knew she’d go to jail before she put them out on the streets – or made them feel they had no other choice but to return to their abusers. Thus began Sandra’s life work. She fought the establishment. Some battles she won. Some she lost. But she kept the people in her care safe from harm. She kept them warm and fed and dry. She gave them the time and the resources and the help to develop new lives for themselves. Thirty years later Sandra’s shelter, Strengthen Our Sisters, consists of ten homes filled to capacity with battered women and their children. SOS also has a daycare. A thrift shop. A computer school. Transportation facilities. Sandra accompanies women to court. She holds hands. She fights bureaucracy when she has to. She teaches college. And she fundraises. I wrote a story based on the life and work of Sandra Ramos (“The Mechanics of Love,” More Than Words, volume 5). And my life was changed yet again. I gained strength from Sandra’s example. How could I quit or lose faith or even get tired of the fight, if Sandra could single handedly move mountains? She didn’t quit. Or lose faith. Or get too tired to fight. In a sense, Sandra gave me back my life, too. She reminded me how full of determination and belief I’d been as a high school graduate heading off to college. That girl was still inside me. I just had to set her free. I wrote “The Mechanics of Love” three years ago, and I’ve carried Sandra’s message with me ever since, waiting for a chance to give back to her just a small measure of the gifts she’s given the world. I was looking for an opportunity to show her the kind of support she’s shown to hundreds of women over the years. And this Fall my chance is finally here. I have a new four-book romantic suspense series out from Harlequin and MIRA Books called The Chapman Files. The Chapman Files centers on expert witness/psychologist Kelly Chapman. Each book is one of her cases. I was asked to do internet publicity for the series, and the idea of a blog tour was introduced. 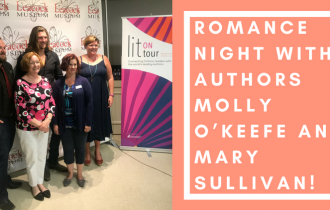 A blog tour. Traveling to new and different places and, through cyberspace, connecting with thousands of people around the world. I had a message – The Chapman Files are the best work I’ve ever done and are well worth buying. But I had another message, too. And now an opportunity. My message was about Sandra and about her work. About all the victims of domestic abuse who need not only financial help but emotional sustenance as well. I was going to talk about Sandra and about the victims of domestic abuse on my blog tour. I was going to tell the world about Sandra’s efforts. About how they made a real difference in our world. It fit perfectly with my own project. Jane Hamilton, the heroine in The First Wife, a successful magazine editor, volunteers at a domestic abuse center. And her ex-husband is on trial for murdering his wife. Jane’s testifying at the trial. I called Sandra Ramos to tell her what I wanted to do. To obtain her permission. And I found out that, in a down economy, Strengthen Our Sisters lost $400,000 in donations this year. Sandra was working almost around the clock to raise funds to pay mortgages. Thirty years of fighting, and she’s still struggling to keep safe roofs over the heads of battered women and their children. Staff members at SOS were working without pay. One, for instance, has taken a second job so she can pay her own mortgage while she works full time at SOS. I not only have a message. I now have a mission. Over the next three months, as Kelly Chapman and I tour, both in cyberspace and physically, to promote The Chapman Files, we’re also asking for help for Sandra and SOS. On each of our more than seventy blog stops, we’re giving a link for readers to donate directly to SOS through a secure Paypal link. And at every physical stop, we have a computer with a secure Paypal link to donate directly to SOS. We’re also giving away free books, prizes and hosting a monthly mystery game. And we aren’t stopping there. Kelly Chapman is an avid in-line skater. (Funny, how that worked, as I am, too.) We put our heads together with Tim, our Business Director (also an in-line skater), and with loads of help from Penny Wright, personal trainer and founder of the award winning Predators speed skating team, we’re hosting The Chapman File Book Launch and Charity Skate in Chandler, Arizona, on December 4th, 2010 at 8:30am. The skate is a 10K race, with awards given to the top three places; following the skate is a 5k walk. All participants will receive special participation medallions designed specifically for this event. Registration fee for either event is $20. All proceeds will go directly to Strengthen Our Sisters. Following the skate, Phoenix, Arizona, is hosting a grand party for the book launch in the auditorium at the Burton Barr Central Library (1221 N. Central Avenue, Phoenix, AZ 85004) at 1:00 pm. Sandra Ramos will be there to celebrate with us! We’ll be giving away 200 autographed copies of The First Wife, holding drawings for blog tour and door prizes, taking donations for Strengthen our Sisters and announcing the skate award winners! The entire event is going to be broadcast live on-line at www.eharlequin.com. The party is open to the public and everyone is encouraged to attend. In addition to monies raised during the tour and the skate and the party, I’m going to be donating 5 cents from every copy of The Fourth Victim’s retail sales during the month of December, 2010. 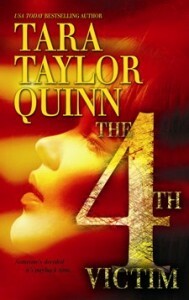 I’ve published fifty-four books with Harlequin over the past seventeen years. I plan to continue writing stories until the day I die. Because I believe in what I write. 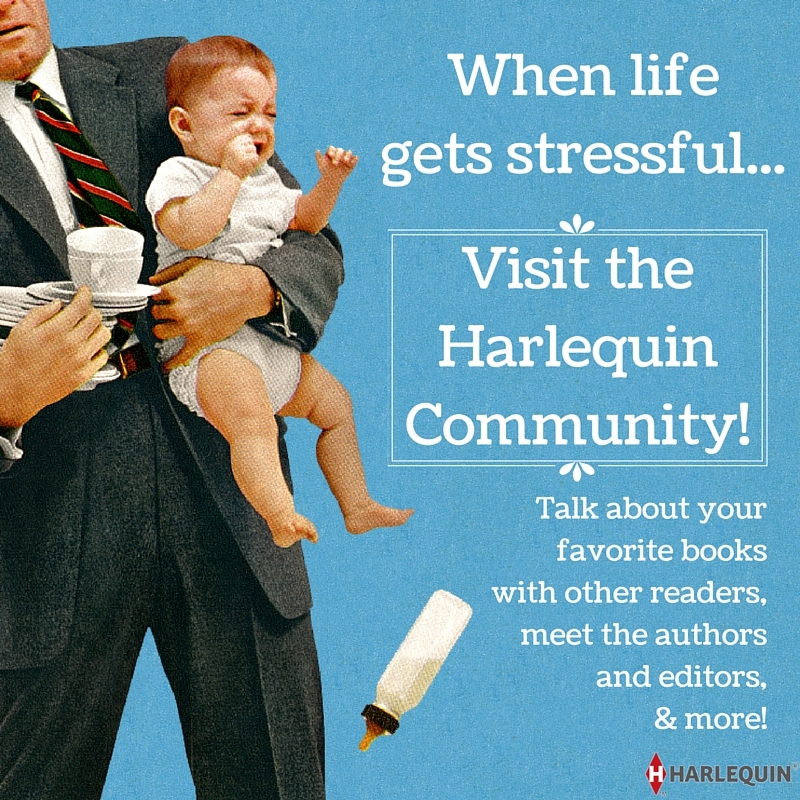 I believe in the message that Harlequin’s been sending out into the world for more than sixty years. The message of hope, the promise of love conquering all. 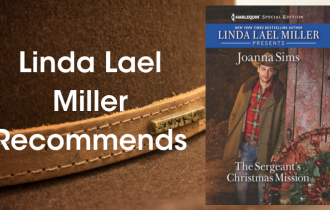 I believed in the message as a fourteen-year-old girl when I picked up and read my first Harlequin Romance. I believed during the ensuring ten years when I read a Harlequin Romance a day. I believed during the years of submitting to Harlequin and receiving kind and encouraging rejections. And I’ve believed through the writing of the fifty-four titles that Harlequin has purchased to date. I believe because I know, first hand, about the healing power of love. I don’t just write the books. I live the life. And this partnership with Sandra Ramos gives me the opportunity to help others live the life, too. This is what we’re all about – the healing power of love. This post is brought to you as part of The Chapman Files International Blog Tour. Over the next three months, as we celebrate The Chapman Files, expert witness psychologist, Kelly Chapman and I are going to be asking for help. If you can, join us in our fight against Domestic Abuse. If you’d like to help, click here to go directly to a secure Paypal site. Or just comment here to show your support. There’s an item from our new book, The Second Lie, hidden on the tour with us. Guess the item to enter the drawing to win it! Today’s clue: Some people use it. Some don’t. Send all guesses to staff@tarataylorquinn.com. To see previous clues visit blog sites listed at www.tarataylorquinn.com. Guess as many times as you’d like! 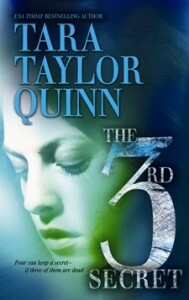 Don’t miss The Chapman File tour party on December 4th at www.eharlequin.com! Tour prize winners will be announced! Next blog tour stop: Wednesday, October 13th, 2010 on Petit Fours and Hot Tamales . We hope to see you there! 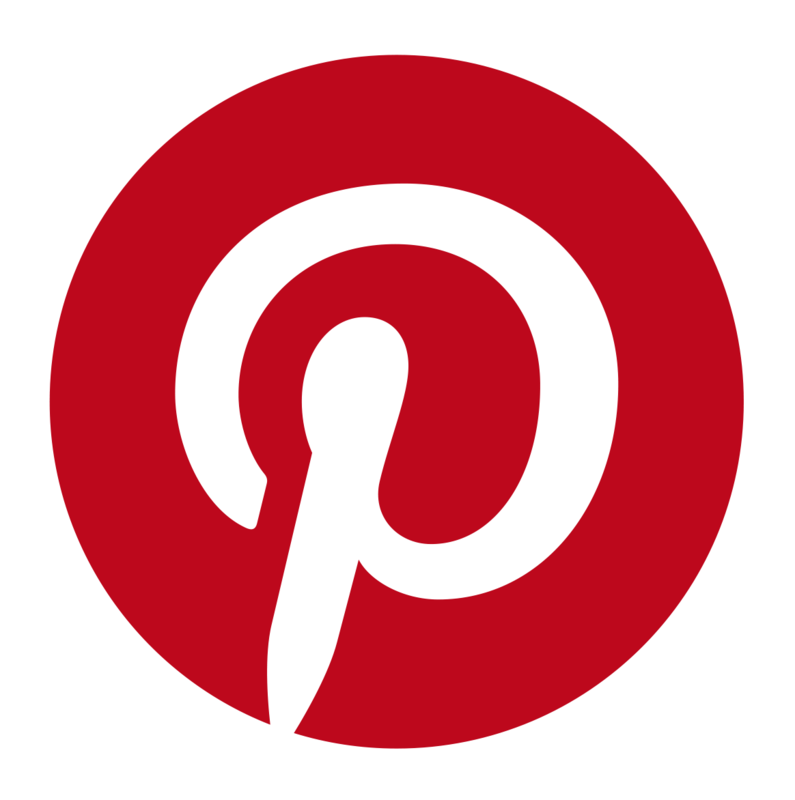 The more blogs you visit with us, the more chances you have to win! Every time you comment your name is dropped in the bag for the prize drawings. 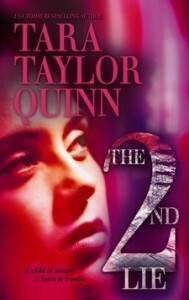 For weekly blog tour dates, visit www.tarataylorquinn.com. Or to have the weekly schedule sent directly to your email, send request to staff@tarataylorquinn.com. Author Dana Marton’s 12 Early Days of Christmas! The thing about abuse is that it can happen to anyone, anytime. I think the books are an excellent way to help bring the issue of abuse to the forefront. I can’t imagine the stregnth it takes on a daily basis to do what needs to be done to keep Strengthen Our Sisters open. I applaud you and your many volunteers. Thank you so much for you support. It’s this collective caring that will make a difference. every woman needs to know they are important and worthy!!! i give a standibg ovation to Sandra for her work as well as her many volunteers! People needs to know that domestic violence can happen to anyone. It’s a question of paying attention. There is always a sign that someone is a domestic violence victim. I was able help someone to escape domestic violence by helping her plan her escape from an abusive boyfriend and failed to help a close friend of mine. Her ex-husband shot her and then killed himself. Twelve years later, that failure still haunts me and have me questioning if there was more I could have done. The fight is still on. No one should ever be abuse. 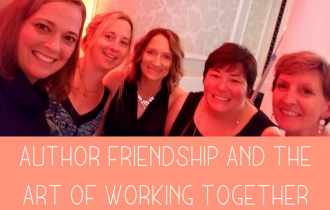 Thanks for sharing the story connecting your books and your mission with Sandra’s. The passion you both share in working towards a common goal is inspirational! And thanks for the reminder that everyone can make a difference and has the opportunity to help. Thank you all for caring. We’re making a difference. And…I hope…giving some women support enough to know that they can seek help. I know we’re making a difference for Sandra. The women at SOS are very aware of our efforts and are strengthened by them. I can’t speak to your situation, and yet, I feel compelled to say that none of us can know for certain what to do and when in terms of helping a particular situation. It’s hard sometimes to determine when stepping in will help, or only push the victim more closely into the clutches of the abuser. You were a friend. That counted.